In January and February 2017 Transition Haverfordwest, in partnership with Confluence, presented a series of six eco/art documentary films in various venues around the town. As well as the LAB, films were shown in some local independent venues as pop-up events, in order to engage a wider audience, and to support local businesses. 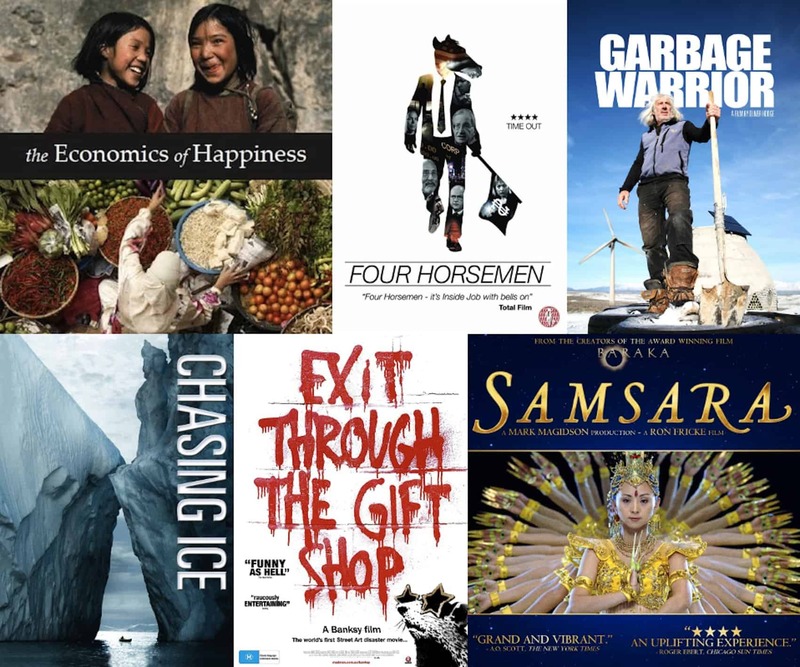 The films and venues listed below were chosen to raise awareness of trends and issues facing us all on a global scale, but more importantly to bring people together to talk, share their thoughts and experiences (with good coffee and cake), and explore local initiatives which can improve the place we live in, and create a closer-knit community. The films were really well attended, with 44 people attending one or more of the events, and ages ranging from 20’s to 60’s. The attendance numbers and feedback received demonstrates that there is a healthy appetite for more creative and cultural events such as this, where debate can take place and ideas shared and taken forward. The majority of people who supported the events agreed that they have changed their perceptions of Haverfordwest and broadened their understanding of what art can be. The film evenings were provided on a free admission/non-profit basis, but donations of loose change were gratefully accepted (Change4Film$) which enabled the organisers to provide refreshments and to cover the staffing costs of the host venues. Confluence and Transition members would like to thank the staff at Coffee Cave, Creative Common, SPARK Gift Shop and the Yeoman Pub for their cooperation in providing the spaces, chairs, walls, and assistance in setting up to show the films. Following the success of this series, Transition Haverfordwest are planning on showing another inspiring documentary film during the Town Festival week at the end of July. Already viewed by over 1.5 million people in France alone, and winner of Best Documentary at the Cesar Awards (the French Oscars), ‘Tomorrow’ has been hugely impactful. It is a hugely positive, affirming and inspirational film, exploring creative solutions in the fields of food, energy, transport, economics and education. It visits permaculture farms, urban agriculture projects, community-owned renewable projects, local currencies, creative schools, ambitious recycling projects. It has been a huge boost to community-led projects, and is currently on release in 29 other countries, regularly receiving standing ovations, and leading to the formation of many new community projects. It is the perfect antidote to the current sense of global despondency. It also has a great soundtrack!